Company profile is the section where you can have a brief description about well established and finally sound blue chip companies that are listed in the Indian Stock Exchanges. This section will provide a keen overview about the company in terms of its origin, founders, latest financial reports and much more. We will try to make this article as informative as possible so that virtually this page becomes the HDFC Wiki for a stock market beginner. This week we would be exploring HDFC Bank who is one of the highly reputed and India’s largest private sector lender by assets in the banking and financial sector of an Indian economy. Brief Company Profile: HDFC Bank alias Housing Development Finance Corporation is India’s largest private sector lender by assets. The bank was incorporated on 30th August 1994 with its registered office in Mumbai, India. HDFC Bank was the first amongst to receive an ‘in principle’ approval from RBI (Reserve Bank of India) to set up the bank in private sector, a part of RBI’s liberalization of Indian Banking sector in 1994. HDFC Bank commenced operations as a Scheduled Commercial Bank in January 1995. It has around 88,253 permanents employees and has an overseas presence in Dubai, Hong Kong and Bahrain. Inception & Founders: HDFC Bank was founded in 1994 and is headed by Aditya Puri, he has managed this position since September 1994 making him the longest-serving head of any private sector bank in India. Shyamala Gopinath is the chairman & Aditya Puri is the CEO & MD of HDFC Bank. The following pointers will uplift the confidence of any stock market analyst. As this highlight the favourable business outcomes for HDFC Bank. The bank has been maintaining a healthy dividend payout of 19.39%. The HDFC has generated a good ROCE at 66.30%. A Wide range of products to meet various customer needs. Following table highlights Key ratios and financial variables which will help investors a lot. 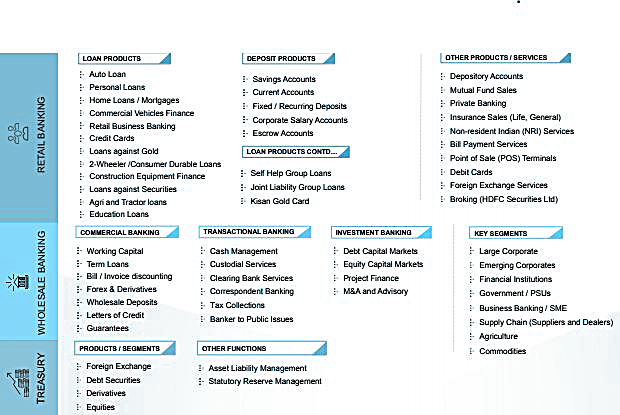 The table below highlights the approximate shareholding pattern of HDFC Bank. authorized share capital Rs. 650 crore. The table below highlights the Top 7 companies in the same business, therefore, giving the easy benchmark for comparing HDFC Bank with other 6 companies in the same business. Annual Results of HDFC Bank. Readers will find the cash flow statements of HDFC Bank of past 6 years. The below table highlights the balance sheet position for the past 6 years. How to interpret a cash flow statement for Fundamental analysis in Investing?